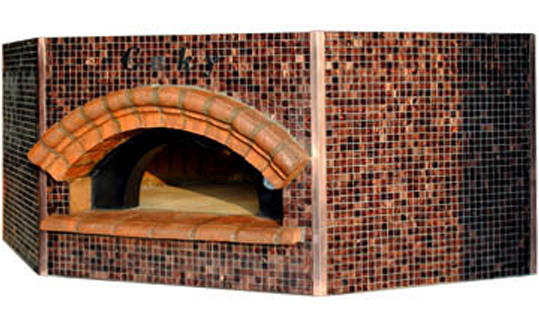 Gas/Wood Burn Ovens - Entirely made in firebricks. The only rotating oven entirely made in firebricks. Handmade construction for cooking floor and dome, brick after brick. No more interruptions while cooking Digital management of cooking programmes. ceky smart chef synchronises the temperature, cooking times and cooking floor rotation speed/direction. 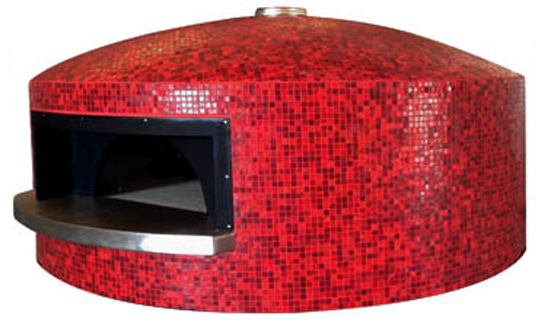 Inspired by the traditional Neapolitan ovens Granvolta model is finished with a peculiar dome shape. Its completely round shape allows an easy positioning and orientation in any context. When assembling the oven, the upper dome part is hand-made on site and is the only model that features a central smokes’ exhaust. The pentagonal shape keeps the same versatility as the round oven model, with possibility to be inserted into a corner position, without ever giving up the advantage of having a classic covering on all sides of the oven. 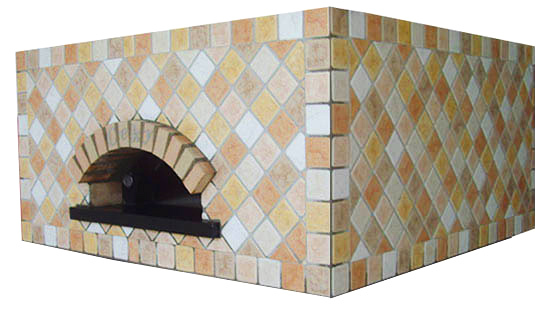 This oven is the ideal complement for anyone who wants the client to feel as if they are in a restaurant where pizza is prepared using the traditional techniques and genuine ingredients that have made pizza one of the most famous and appreciated foods in the world. Its curved shape can be inserted into a corner position, and the oven opening can be placed in the most convenient direction. The pizza chef will always be able to work as effectively as possible with no need to compromise between an attractive oven and productivity. The ultimate outer shape is handmade on site, conferring the preciousness of a jewel of architecture and functionality. Support stand and base are made of metal. Since all of our products are handcrafted, the shape and dimensions of our ovens can be modified to be inserted into environments that cannot be suitably adapted to standard solutions.